Another successful trip has been completed by a team of 8 TEECH volunteers. 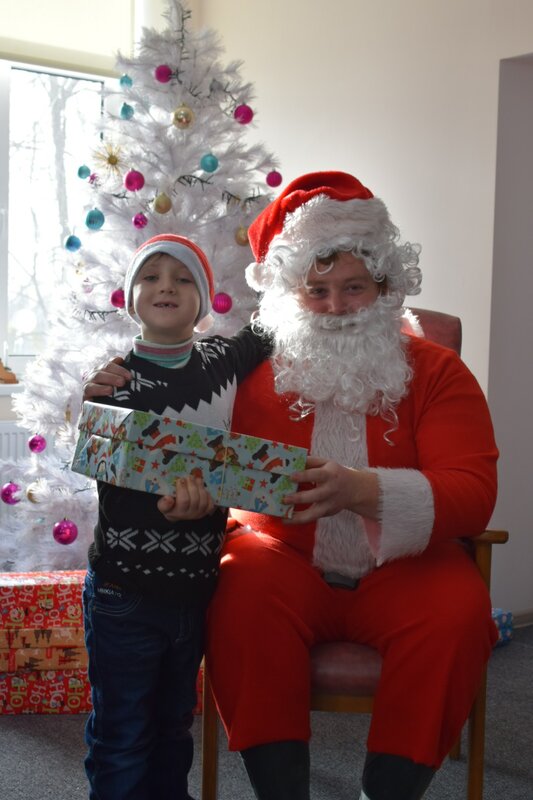 The team travelled over to Romania and Moldova during the last two weeks, to deliver all the shoebox parcels, food and hospital equipment which was kindly gathered and donated by yourselves. On the day of departure the volunteers arrived to pick up the two lorries to find one had a puncture, so at 5.30am on the 27th December the challenge had already started. Luckily it did not delay us too much and we were soon on the road with the first main stop in Targu Mures, Romania. Here the team visited friends of TEECH, from over 10 years ago, when a summer project was completed in the area. A special bed was taken to a young boys home who is physically disabled and needs assistance and shoeboxes gifts were delivered to two schools ready for the children to come back from the holidays in January. 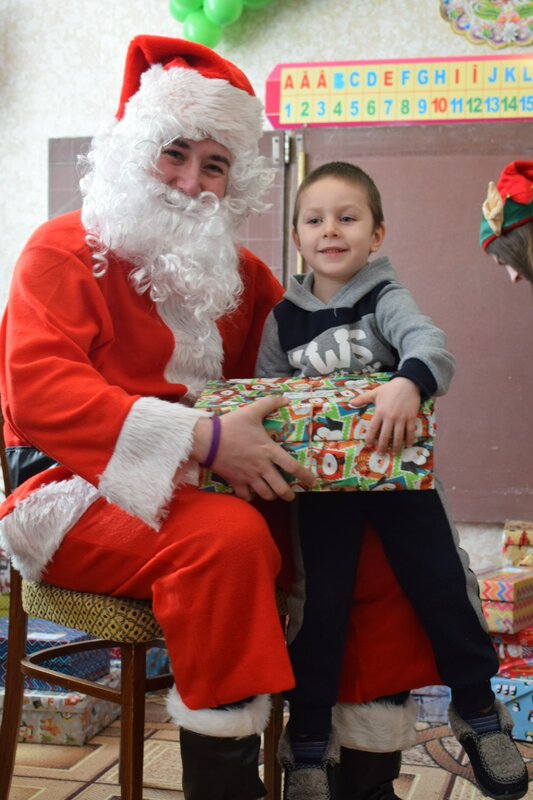 Just before New Year the convoy travelled into Moldova where 11 locations would be visited, with Santa Claus handing gifts to the children at the schools in Leuseni, Ivancea, Riscani and Sturzeni. Along with schools, many homes were also visited in the villages of Ghetlova, Leuseni, Ivancea, Furceni, Branesti, Balanesti and Balti. Visiting peoples homes really provides an insight into how people live and ensured those who can not get out easily are provided with food. A rehabilitation centre for men with alcohol addiction, near to Balti, Moldova, was visited to provide the men with new trainers and socks. New Years Eve was celebrated in the boiler room on the school in Leuseni, where the two caretakers were excellent hosts, BBQ rabbit and providing homemade wine. Throughout our time in Moldova the hospitality of the people could not have been better and we always felt welcome wherever we went and received thanks and gratitude. In Moldova we were joined for a couple of days by Diana, Dorina Vlad and Iulia. The teenagers are from two different villages where TEECH have done projects in prior years. Whenever we are back in Moldova they travel to where we are located and become volunteers themselves helping with translation (improving their English all the time) and handing out aid. The trek home started on the 8th following snowfall. The roads through Moldova and Romania were challenging, slow but did not prevent the team travelling back on schedule, making a brief visit to Bran in Romania to view Dracula’s Castle. mitch and jordan take up the challenge of santa! Photo’s can be viewed here. We took a lot of photos therefore just some of the best ones have been uploaded. We hope that it will give you a flavour of where the team went, life in Moldova and what a difference your gifts made. Stuart Road Primary School, Plymouth (plus their local COOP).